Because you are represented by the UFT, you receive regular pay increases negotiated in each UFT–Department of Education contract as well as differentials, step payments and longevity increases based on your level of education and your years of service. The UFT–DOE contract for your title contains a salary schedule that calculates the new salaries when each negotiated pay increase takes effect. The salary schedule that the union and the DOE negotiate in the contract. Years of approved prior teaching experience outside the New York City Department of Education and in some situations for related non-teaching experience. How long you have been teaching in the New York City Department of Education. 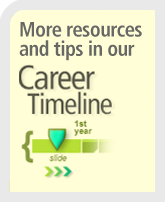 Credits and degrees you earn beyond your bachelor's degree. members with different educational credentials and amounts of prior experience may start at different rates of pay. Listed vertically down the left-hand side of the schedule are salary steps. An employee will move one step for each semester of satisfactory service. Listed horizontally across the top of each salary schedule are the salary differentials. An employee is eligible to move horizontally across the schedule as she/he increases her/his level of learning. A salary step is an incremental increase in salary based on previous qualifying professional experience. All newly hired teachers, as well as members of functional chapters such as school secretaries, must report their prior work experience in their online application (TSN) for employment. Members who have not entered any previous work experience will automatically be placed on the beginning salary step and granted an equated date that coincides with their first day of employment. You’ll earn more money the longer you stay in the system. If you teach without interruption, you can move through the steps at the rate of two steps per year (e.g. 1A and 1B) for each year you work, increasing your earnings up to Step 8B. You will automatically receive pay increases based on your anniversary/equated date of hire and on March 1.Teachers and members in functional chapters should contact a UFT salary representative at a UFT borough office or their functional chapter leader for information about how they can earn salary differentials. You can accumulate the credits you need to qualify for salary differentials by, among other ways, taking courses through the UFT Teacher Center. Salary differentials are granted to teachers who earn credits beyond a bachelor’s degree, including CLEP exams. These are shown along the horizontal axis. You may be entitled to more than one differential at a time. These combinations are shown in the top row of the salary schedule. Each differential can add thousands of dollars to your annual earnings — permanently — and cumulative differentials can make a big difference in your earning power. You must apply in order to receive differentials. To ensure that you receive pay retroactively from the date you earned the additional credits, you must apply within six months of earning the credit. Teachers and members in functional chapters should contact a UFT salary representative at a UFT borough office or their functional chapter leader for information about how they can earn salary differentials. 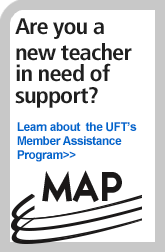 You can accumulate the credits you need to qualify for salary differentials by, among other ways, taking courses through the UFT Teacher Center. Regularly appointed teachers are eligible, as are some pedagogues and administrative workers (who should refer to their contracts for more information). For teachers, after the fifth year and at intervals thereafter, you will receive “longevity” increments — also called “longevities.” These come after you have taught in New York City for five, 10, 13, 15, 18, 20 and 22 years. A longevity increase becomes part of the teacher’s base salary and is immediately pensionable. Please note: Titles other than teachers also can receive salary differentials and should refer to their contracts or contact their borough office for details. C1: This is the basic salary for those who have only a bachelor’s degree. C1+PD: This column applies only to teachers hired before 1970. C2: This is called the first differential. It requires 30 credits beyond the bachelor’s degree requirement. These may be all excess undergraduate credits, all graduate credits, or a combination of both. C2+ID: This column, the intermediate differential (ID), applies to people who have earned their first differential and in addition have 60 credits beyond the bachelor’s. C2+PD: This is called the promotional differential or PD. It requires 36 credits in an approved subject matter area; those 36 credits may be undergraduate, graduate, or a combination. Generally speaking, you qualify when you get your master’s degree. C2+ID+PD: This is for people who have met the requirements for the first differential, the intermediate differential and the promotional differential. With a master’s degree plus another 30 credits that were taken after the date of your bachelor’s but not as part of your master’s credits. The credits can be from undergraduate or graduate courses. With professional development courses and/or activities approved by the chancellor. By getting National Board for Professional Teaching Standards certification. All newly hired teachers must report their prior work experience in their online application for employment. The information will automatically be submitted to the DOE’s new online salary step application which must be validated by the teacher via the DOE’s payroll portal. It takes approximately two to four weeks for the DOE to evaluate your prior work experience if you are a newly appointed teacher. You will receive a Certificate of Salary Status via email informing you of your salary step up to Step 8B if eligible and a new equated date. If you have no previous work experience, you will automatically be placed on Step 1A and your equated date will be your hiring date for moving up in salary steps. Non-appointed teachers will also receive a Certificate of Salary Status via email but will not receive an equated date. The highest salary step that a regular substitute teacher can attain credit for, even if certified, is Step 4A. School secretaries, guidance counselors, social workers and psychologists: You can earn salary credits for approved outside service. Therapists and therapist supervisors do not have steps, but have experience differentials that can translate into outside credit. Therapists also receive longevity increases at five, seven, 10, 15, 20 and 22 years. Nurses and nurse supervisors do not have steps, but have experience differentials that can translate into outside credit. Nurses/supervisors also receive longevity increases at five, seven, 10, 15, 20 and 22 years. Education analysts/officers do not have steps or education differentials, but they do have longevities that are earned upon completing five, 10, 15 and 20 years. Paraprofessionals do not have steps, but they do have longevities that are earned upon completing five and 15 years. They have a combination of education and experience requirements to advance in title. Check with your school’s UFT chapter leader or call a salary rep at your UFT borough office for more information on steps and differentials.